A variety of industries rely on metals like titanium, nickel, and aluminum or stainless steel tube for high-performance applications. Each of these options has its own unique properties and benefits. In this blog post, we’re going to look at these different materials and break down the benefits of each. Titanium tubing is well-suited for the aerospace, automotive, and military/defense industries where applications require both weight and strength. Although titanium tubes have a significantly lower density than steel, nickel, and copper, they’re strong and rigid in comparison to other alloys. Titanium alloys are corrosion, chemical, and heat resistant. In fact, titanium’s heat tolerance enables it to withstand temperatures of 600 degrees or more. Titanium is known for its excellent weldability, good fabricability, and effectiveness in challenging industrial applications. Nickel tubing is heat resistant and quite strong. This makes it particularly useful in extreme temperature environments like those in the oil and gas, aerospace, chemical/petrochemical, biotechnology, healthcare, and food processing industries. Various industrial applications rely on nickel alloys. Nickel tubes can withstand extremely high temperatures, have a slower rate of oxidation and stress-corrosion, and a low rate of thermal expansion. Aluminum tubing is notable for its lightness, excellent strength-to-weight ratio, and versatility. It’s superior corrosion resistance and thermal conduction makes it highly suitable for challenging environments. Stainless steel tubing is used for many applications and structural purposes due to its heat and corrosion resistance, amazing weldability and machinability, and aesthetically appealing look. Salem Tube is a steel tubing manufacturer headquartered in Greenville, PA. We offer fully integrated tubing solutions for complex projects, critical applications, and special customer requests. Our portfolio includes all materials from carbon steel to titanium – but our main specialty is stainless steel tubing and high nickel alloys. As part of the Tubacex Group, we’re a global stainless steel manufacturer producing high-quality products right here in the United States. If you’d like to learn more about our tubing, sheets, bars, pipes, coils, and plates, contact us today at 724-646-4301 for a quote. Why Should You Choose Cold Drawn Stainless Steel Tubing from Salem Tube? Every day, companies within the industrial field rely on stainless steel tubing for a variety of functions. Its primary function is protecting products and employees from harmful chemicals, gases, and fluids. 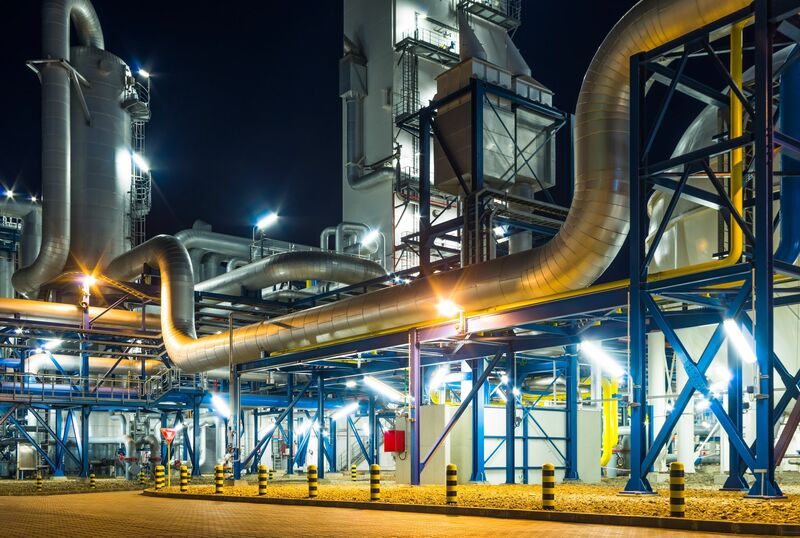 Cold drawn stainless steel tubing is a top choice for industrial environments, offering a variety of benefits in terms of protection and performance. Why is Cold Drawn Stainless Steel Tubing So Popular? One of the most common types of materials that are used to engineer tubes and pipes is steel. Not only is cold drawn stainless steel one of best materials to protect employees and machinery from harmful chemicals and gases, it is incredibly durable and has the ability to withstand very high amounts of pressure. This tubing is specifically designed to withstand numerous climatic conditions, and they are highly efficient at delivering liquids and gases within industrial settings. Cold drawn stainless steel tubing is expertly engineered by US stainless steel manufacturers such as Salem Tube. They are available in a wide range of shapes, sizes, and are custom made to fit the specifications of your machinery. Furthermore, cold drawn stainless steel tubing is an economic choice for various industries. It is quite affordable and will also help you save on capital and labor cost. Where Can You Use Cold Drawn Stainless Steel Tubing? Due to its variety of benefits, cold drawn stainless steel tubing is a great option for numerous uses and applications. This tubing is used extensively in the industrial field, and its’s most frequently used in the hydraulic and pneumatic industries. Cold drawn stainless steel’s durability and high resistance to pressure makes it a top choice for these specific fields. Salem Tube is a US stainless steel manufacturing company that process high quality cold drawn stainless steel tubing. Our tubing is engineered with excellence and unparalleled accuracy by using cutting-edge technology. The manufacturing process for your cold drawn stainless steel tubing is laser-focused on creating the very best quality products for your needs—whether you’re using our tubing for hydraulic purposes or beyond. 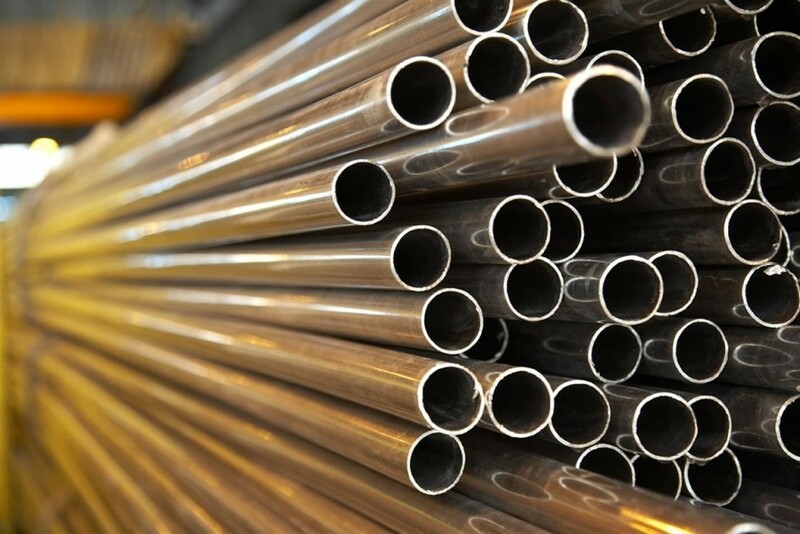 When you choose Salem Tube for your cold drawn stainless steel tubing, you can be sure that you’re receiving the highest quality products that are manufactured in the US. Our company was established in 1977 and is located on a 10-acre tract in Greenville, Pennsylvania. Salem Tube is a global manufacturing company that serves the world with the best cold drawn stainless steel tubing available on the market. Contact us today to learn more at 724-646-4301. If you’re in the industrial field, there’s a good chance that you’ve heard about cold drawn stainless steel tubing. This variation of steel is a top choice for companies in the industrial, hydraulic, and pneumatic fields that need quality and reliable mechanical tubing. Cold drawn stainless steel tubing is affordable and also stands the test of time, making it one of the best options for industrial companies around the world. What is Cold Drawn Stainless Steel Tubing? Producing raw material of the tubing: This step of the process specifies the material’s chemistry and dimensions, including thickness, straightness, and concentricity. Preparing the material for drawing: This step typically involves push pointing, rotary swaging, and squeeze pointing. A vinyl coat or soap film is typically applied during this step. Drawing the material: Jaws on a trolley grip the tube while pulling it through a die. Straightening: Performed by using a 6 or 10 roll rotary straightener with a combination of flex and pressure. Finishing and final inspection: The final step may include polishing, pickling, and monitoring for minor imperfections. In the case of cold drawn stainless steel tubing, materials can originate from stainless, nickel-based alloys, or high-alloy steels. What are The Benefits of Cold Drawn Stainless Steel Tubing? Affordability: Cold drawn stainless steel tubing is affordable and can help cut down on labor costs. Manufactured in the US: Salem Tube is a US stainless steel manufacturing company that is located on a 10-acre tract in Greenville, Pennsylvania. Highly durable: Cold drawn stainless steel tubing can withstand very high amounts of pressure, as well as high temperatures. This is to ensure that your cold drawn stainless steel tubing can meet your industrial needs. High tolerance levels: Cold drawn stainless steel tubing can sustain nearly any temperate zone within the industrial hydraulic, and pneumatic fields. Uniform and high quality: Salem Tube uses the best technology in the industry to create extremely accurate and quality cold drawn stainless steel tubing for your needs. For the finest quality cold drawn stainless steel tubing on the market, contact Salem Tube today at 746-646-4301. Salem Tube is a US Stainless steel manufacturer serving the globe with the very best cold drawn stainless steel tubing. Salem Tube is proud to announce its latest accreditation from Nadcap for superior standards in stainless steel and nickel alloy tube manufacturing. This accreditation entitles the company to appear on the Qualified Manufacturer’s list, defining its dedication to quality assurance. Kamlesh Talati, Quality Director of Salem Tube comments, “Salem Tube is now on the Nadcap accredited special process list for NDT (non-destructive testing), joining our NADCAP Heat Treatment and Material Testing qualifications. Quality is at the foundation of all our operations and this will help to cement customer confidence in our testing capabilities as we aim to exceed industry standards”. Salem Tube takes pride in holding ourselves to the highest process standards and looks forward to providing the best of quality to the aerospace and defense customers. The NDT accreditation includes the Ultrasonic and Eddy Current Testing. The Nadcap accreditations in three special processes (Heat Treatment, Material Testing and Non-destructive Testing) speaks highly of Salem Tube’s commitment to provide consistent top quality products. To learn more about Salem Tube’s capabilities visit www.salemtube.com or call 724 646 4301. To learn more about Nadcap please visit www.pri-network.org. 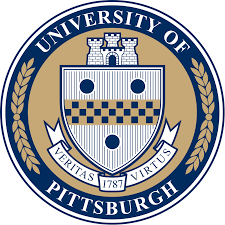 Salem Tube has entered into a new collaborative effort with the University of Pittsburgh. The program, START, short for Salem Tube Academic Research Training, provides mutual benefits for all involved. Through START, Salem Tube has worked through the University of Pittsburgh Cooperative Education Department to bring on board two engineering students. The students entering this program alternate working four months and going to school four months, which typically includes three work rotations. While in their working months, the students are given key technical projects to solve and complete that will improve Salem Tube. Thus, both parties benefit from START by providing excellent work experience for students and by providing a boost to technical projects necessary to improve Salem Tube. On October 30, 2015 Salem Tube launched Phase 1 of their Online Marketing Campaign. The online improvement was a necessary change that needed to be made to adhere to the ever-changing times. The new web platform offers customers a more in-depth view of what Salem Tube has to offer, to better serve current and potential customers in the marketplace, and to solidify Salem Tube as an industry leader. The site now allows for multiple points of contact throughout the site. Moving into 2016, Salem Tube plans to unveil more customer friendly options and way to serve existing and future clients. We are excited to continue to innovate in as many ways possible.